Simply come in & order what you like at the counter, no need for reservations. 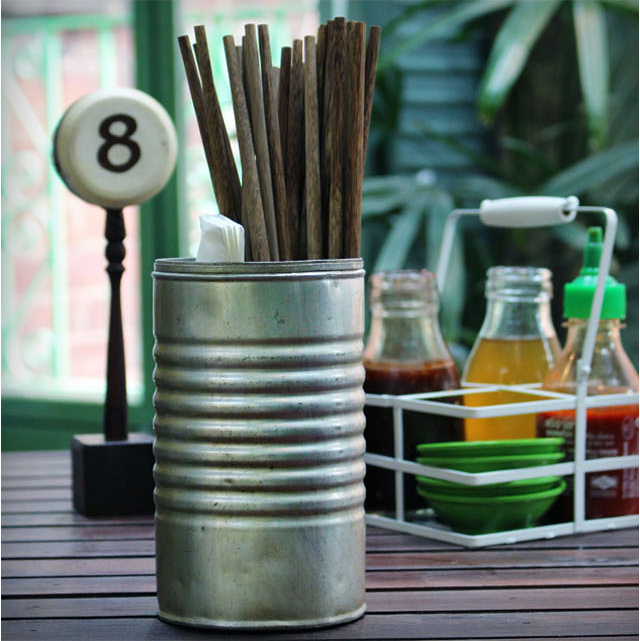 Located on the first floor in our popular Vietnamese-style outdoor Roof Garden, which is also our smoking area. 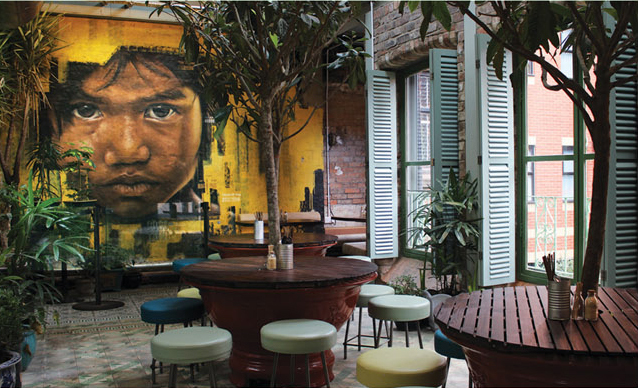 Casual shared seating & indoor tropical trees in traditional Vietnamese Planters - all exported from Ho Chi Minh City along with our 1950s reclaimed encaustic tiles, which were found on the pavement from a house demolition. 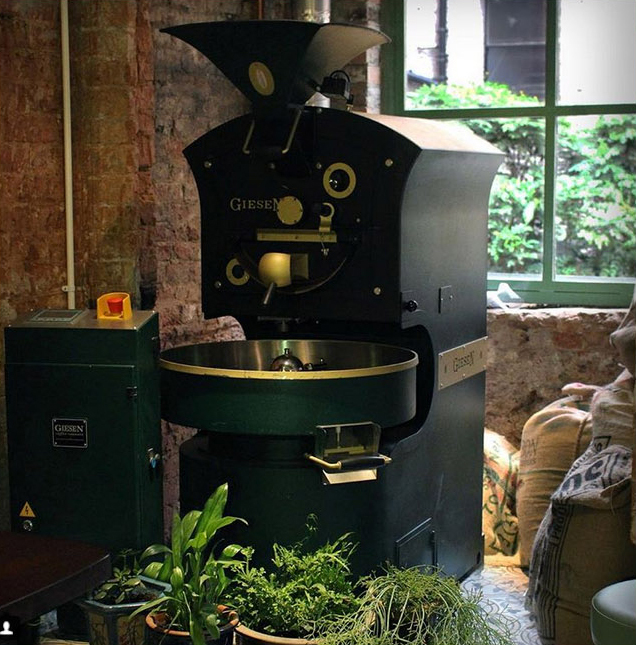 Tucked away at the rear of the cafe is our W6 Giesen Coffee Roaster. All our coffees are roast right here. If you're lucky & to catch us on a roast day, you'll be able to watch the roaster at work. Our coffee bar centerpiece - Group V3 Slayer, custom designed in Seattle & shipped over. 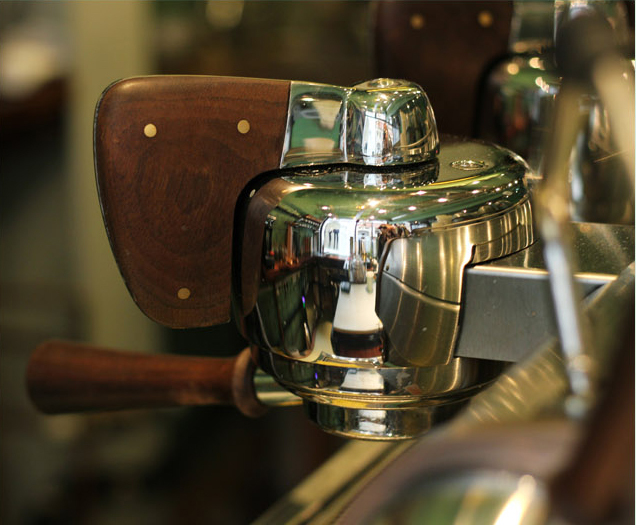 We absolutely love the paddle design on this machine - it gives us manual control over pressure profiling - the results of which gives a better tasting cup of coffee. 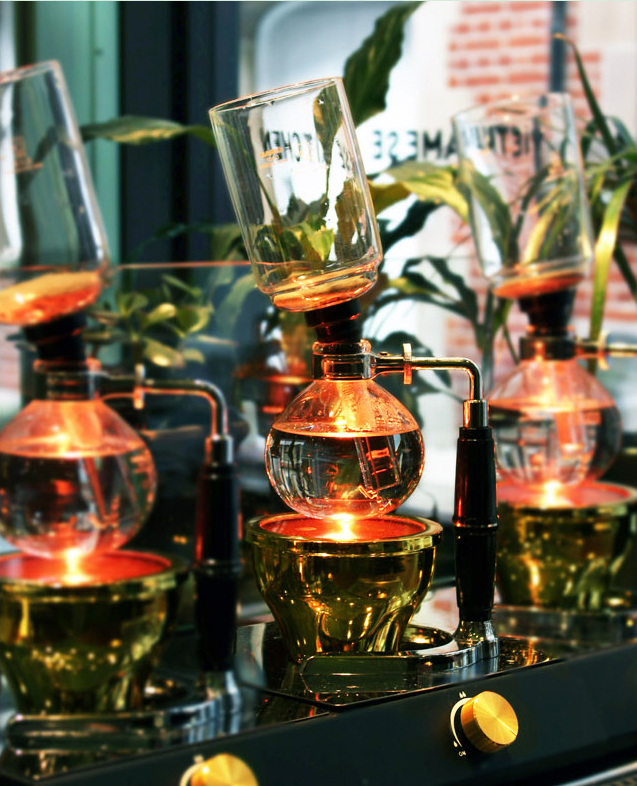 We offer selection of single origin beans available on Siphon or V60 - all roasted in store at the rear of the cafe. We also stock a guest bean from time to time to offer alternative flavour profiles. All our counter drinks are available for take out all the way up to 10pm, 7 days a week. We have 160 seats on two levels, with shared seating upstairs as well as a few seats at the bar. 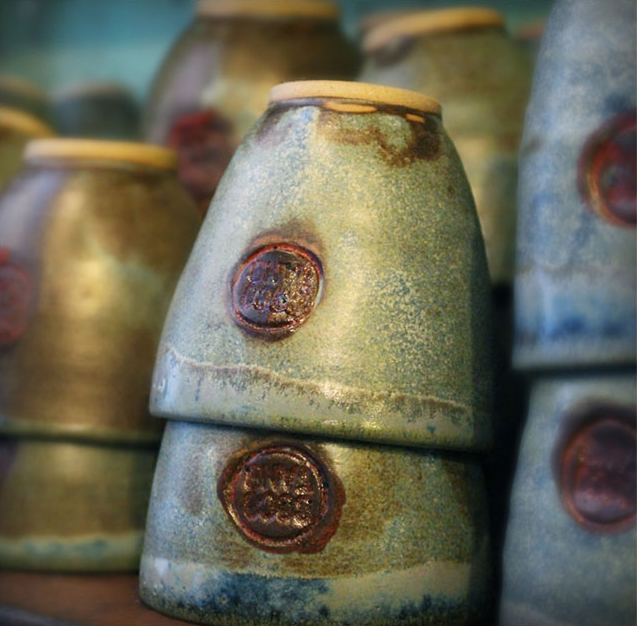 Coco Tang designed ceramics are hand thrown and fired just forty minutes away. 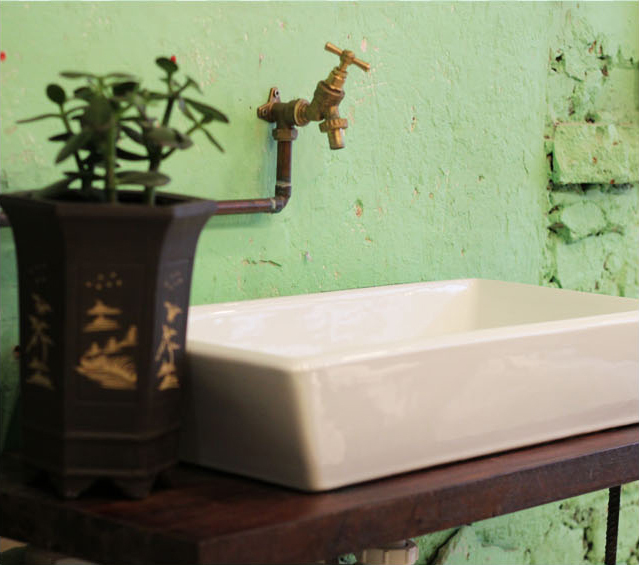 All made using local clay giving them a low carbon footprint. 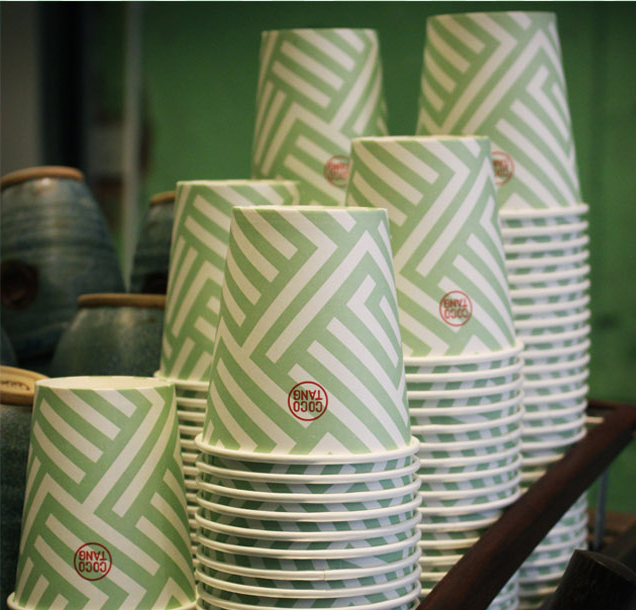 All our bespoke cups, bowls & plates are available to buy in-store. 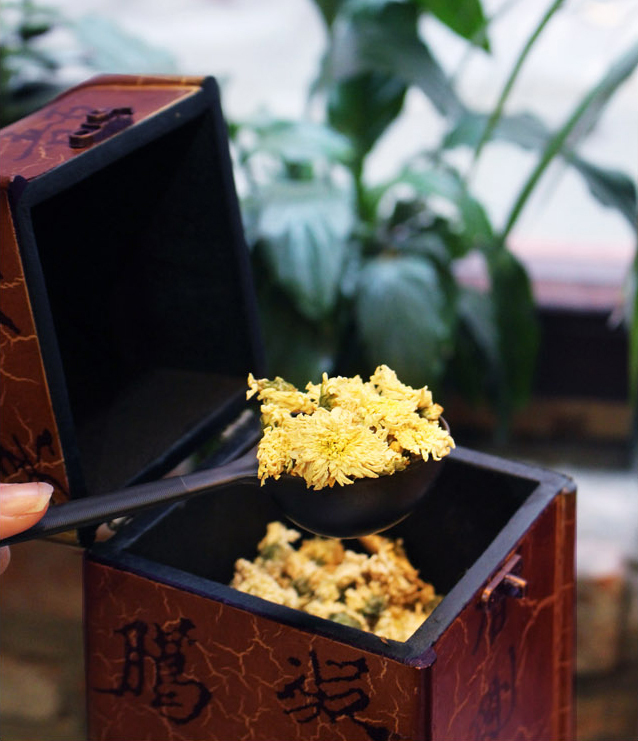 We offer selection of White, Green, Matcha, Flower, Herbal & Black Teas - in late 2018 we will be introducing Pu'er Teas as we expand & develop our range. 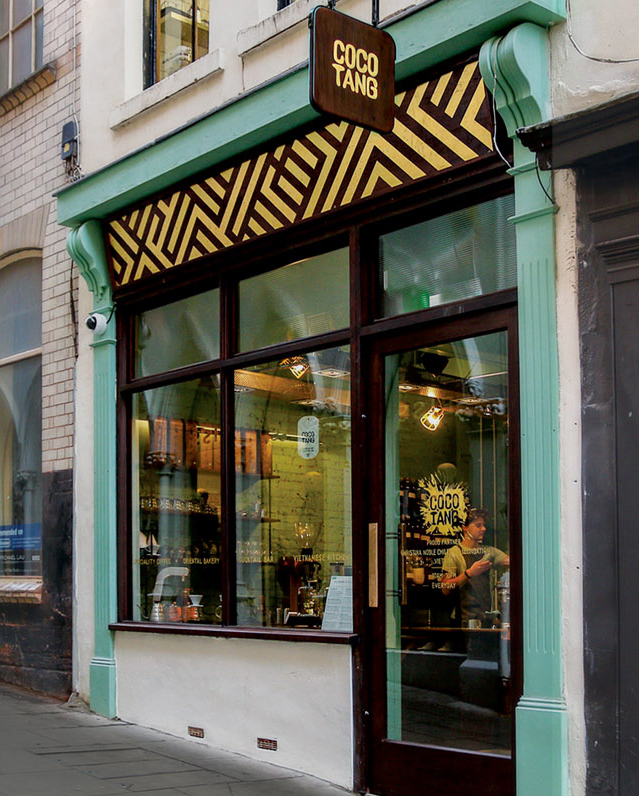 We're are proud to have created the UK's first selection of Single Origin Vietnamese Chocolates available as hot drinks. 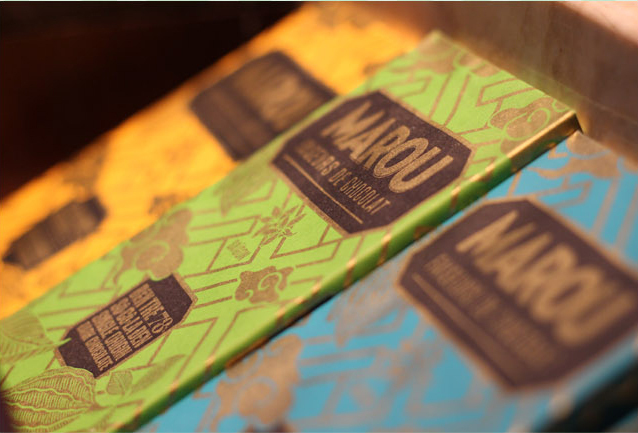 Our melted chocolate station holds chocolate from three separate Vietnamese farms all roasted by the MAROU Chocolate company. 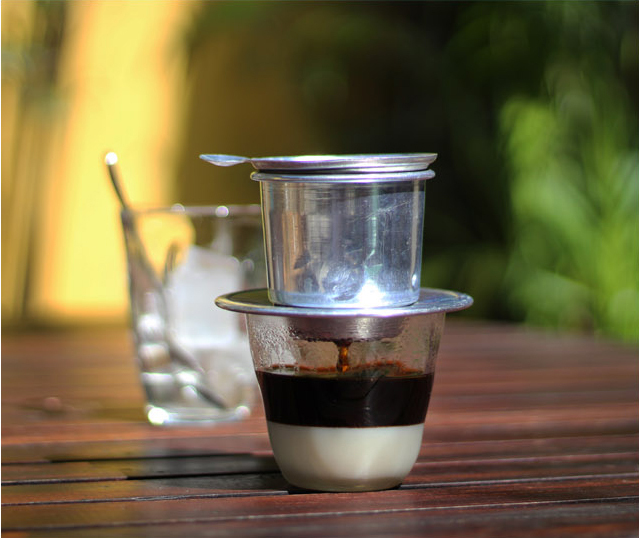 Imported traditional Phin Filters & authentic Vietnamese Coffee served with Condensed Milk (Caphe Sua Da) popular! 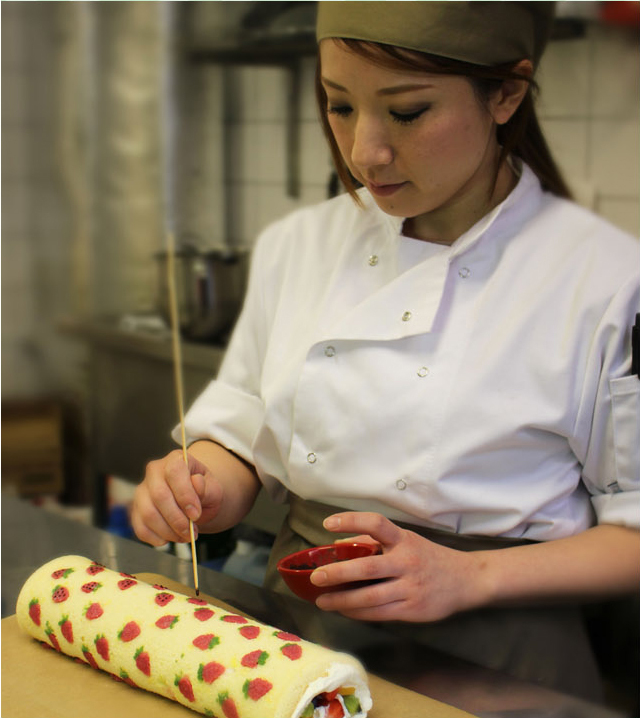 We bake a selection of fresh cakes daily, including unique recipes such as Japanese Roll Cake (above) & Malaysian Pandan cake as well as some classic well known recipes. 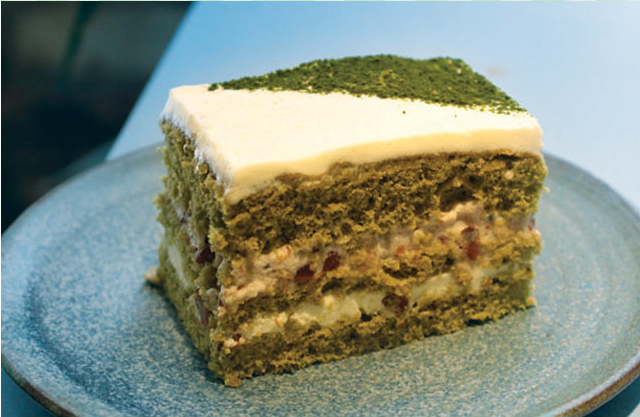 Matcha Green Tea Sponge with fresh Cream & Azuki Beans. 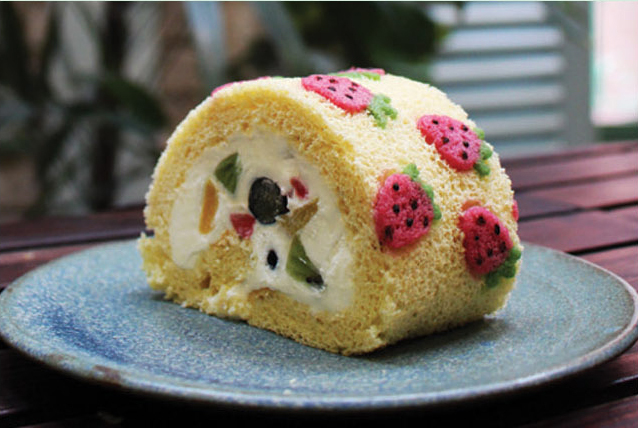 Hand painted Strawberries set off this light & fluffy cake rolled with fresh cut Fruit & Cream. 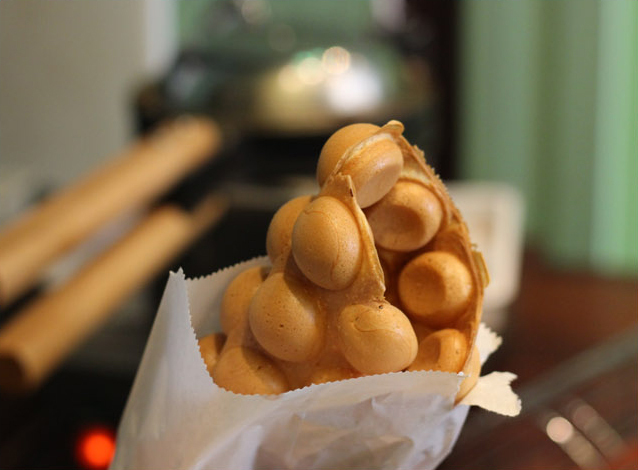 Voted the most popular traditional street food of Hong Kong. 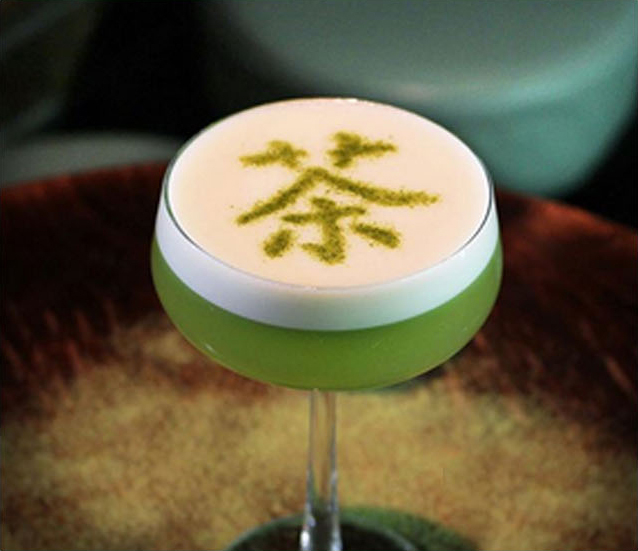 We're proud to have mastered the recipe which took a long time to perfect. 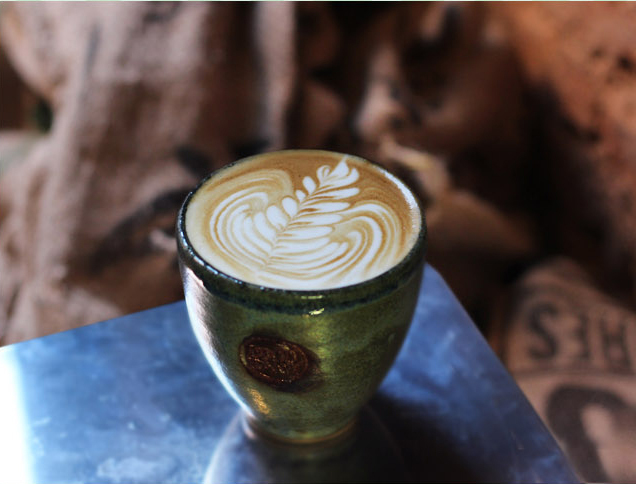 Crisp, light & perfect with a coffee. 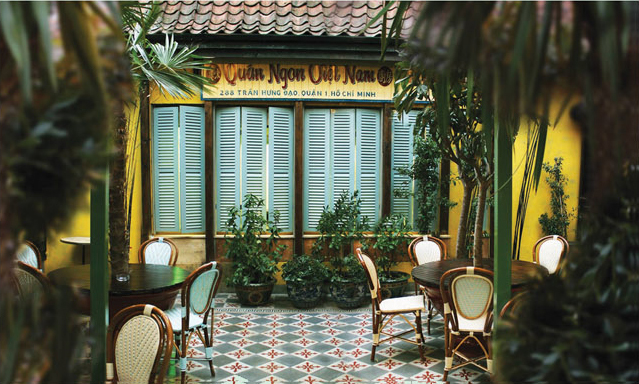 All our food is cooked fresh and follows authentic recipes mostly from Southern Vietnam and Ho Chi Minh City. 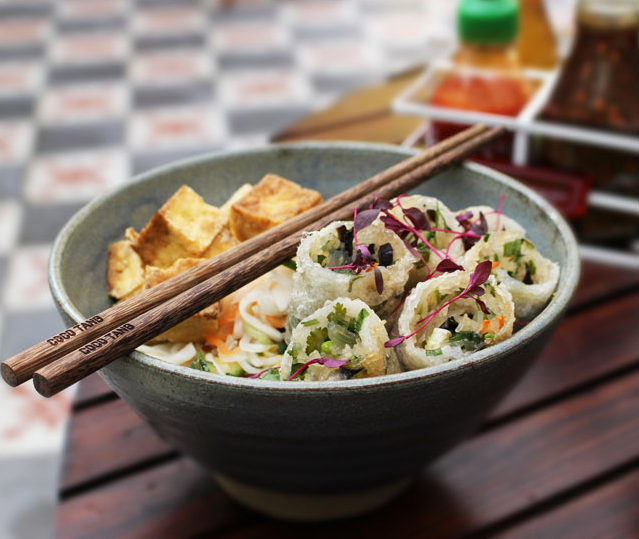 One of our popular vegetarian options, with Vietnamese Pickled Salad & Rice Noodles. 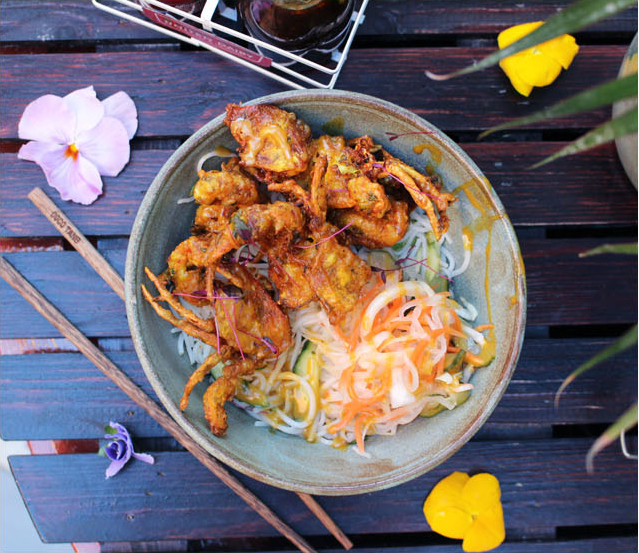 Fresh Blue Swimmer Crabs tossed in a light fragrant batter. 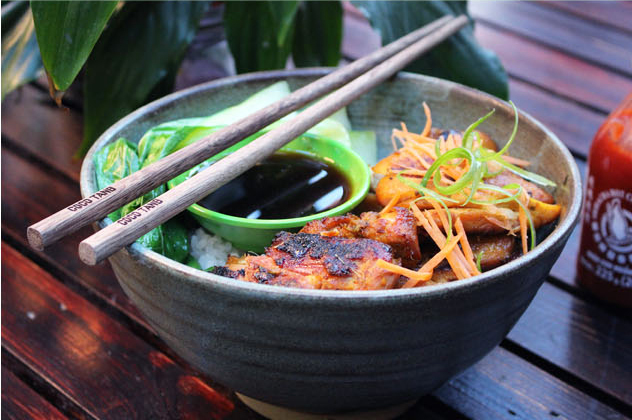 Coal Barbecued Chicken Thighs with a Caramelised Lemongrass Glaze, Short Grain Rice & Pak Choi. 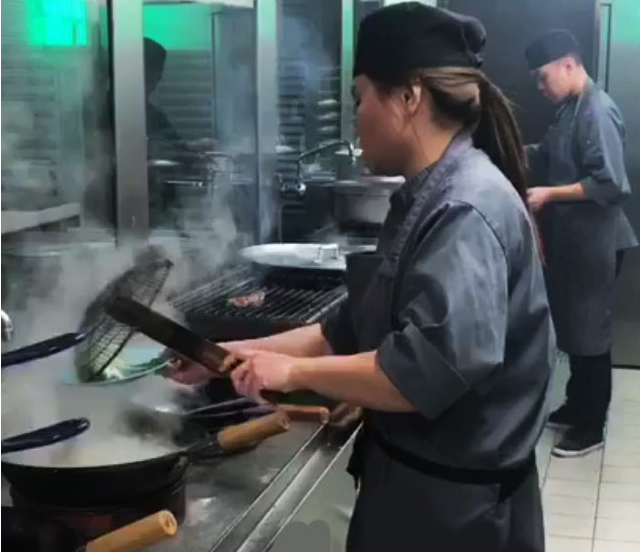 Our home made Fish Sauce & Hoi Sin Sauce bring the true Vietnamese Taste to all our fresh food - not to mention Sriracha Chilli Sauce of course. 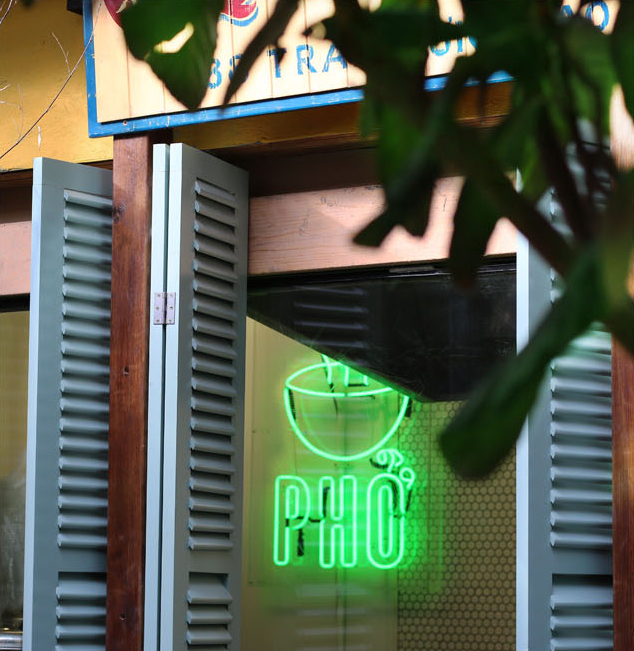 Coco Tang's PHO Noodle Soup is our signature dish, our home broth recipe is slow simmered in traditional style for many hours using all fresh ingredients daily. 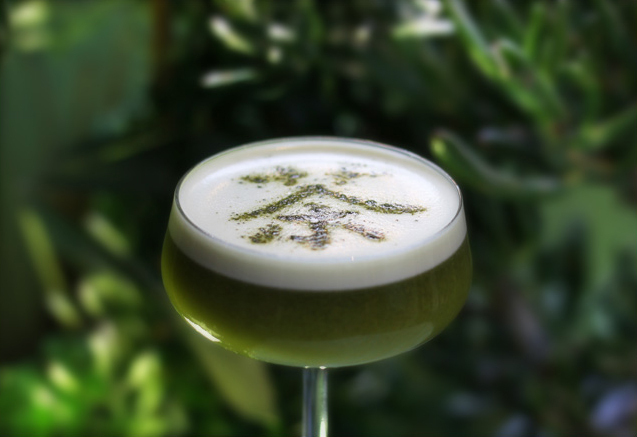 Innovative drinks such as Kyoto Garden (above) form the backbone of our Collection#10 Drinks List. 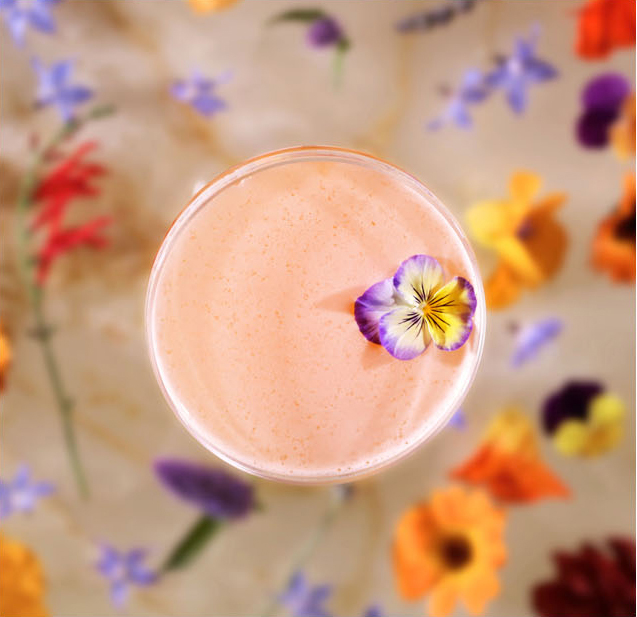 Many cocktails contain ingredients unique to Coco Tang in our home made reductions, infusions and distillates as well as many fresh cold-pressed juices. 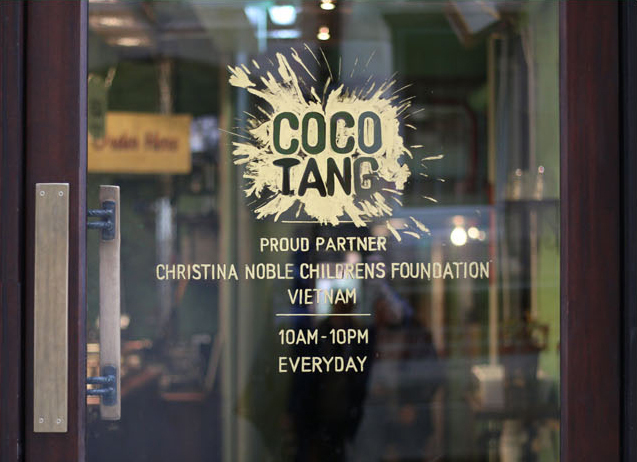 Coco Tang is the proud partner of Ho Chi Minh City based Christina Noble Children Foundation. Since 1993, their goal has been to support and nurture underprivileged children in Vietnam, & we have joined them in that cause. 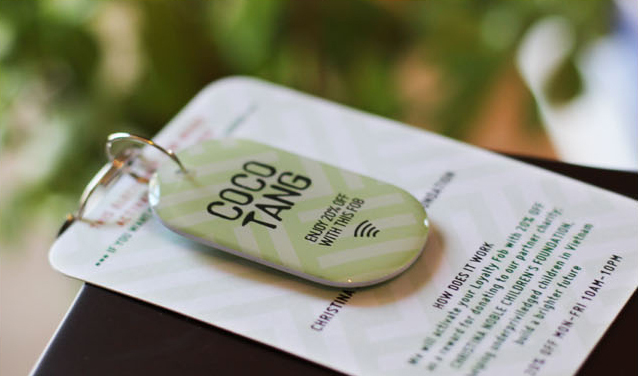 Using RDIF chipped key fobs we have devised a format for offering discount on all our products in exchange for donating to CNCF & bringing direct benefits to the underprivileged children in Vietnam. It is our aim to build a sustainable income for CNFC through our efforts for years to come. We publish quarterly figures on all the money raised as well as report on the direct benefits of those funds and their impact on the children. So far in the first few months of trading our cafe we have begun a stable income for CNCF of around £350 a month which we hope to grow. Enjoy 20% off with our Key Fob Discount Scheme - available to pick up instore. 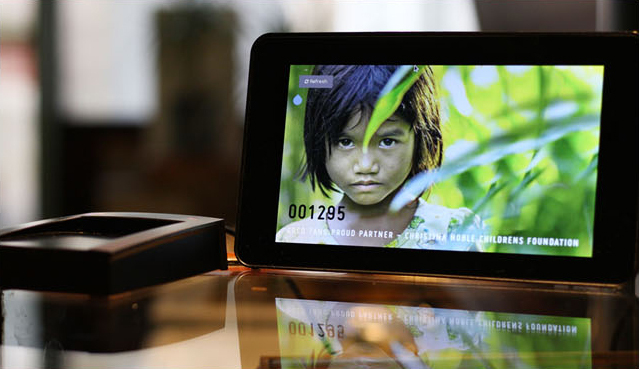 To get a fob, we encourage you to donate to CNCF and support the underprivileged children in Vietnam. Once expired please return your fob for reusing, or recharge with a fresh donation to continue use. 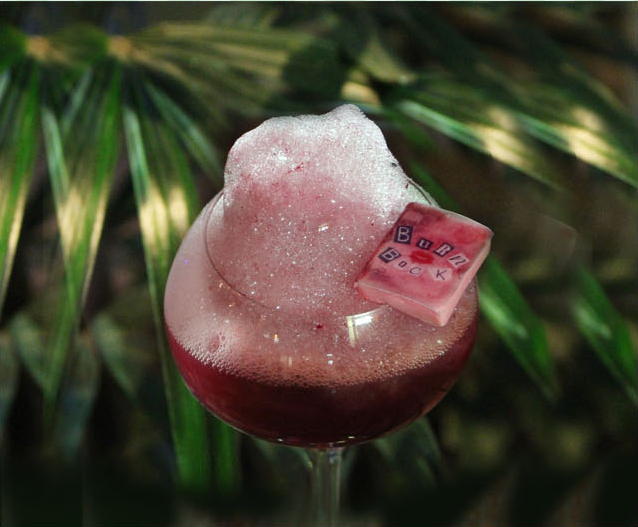 The discount on a meal for two and a couple of drinks will basically pay for the fob, so its really a win win situation. 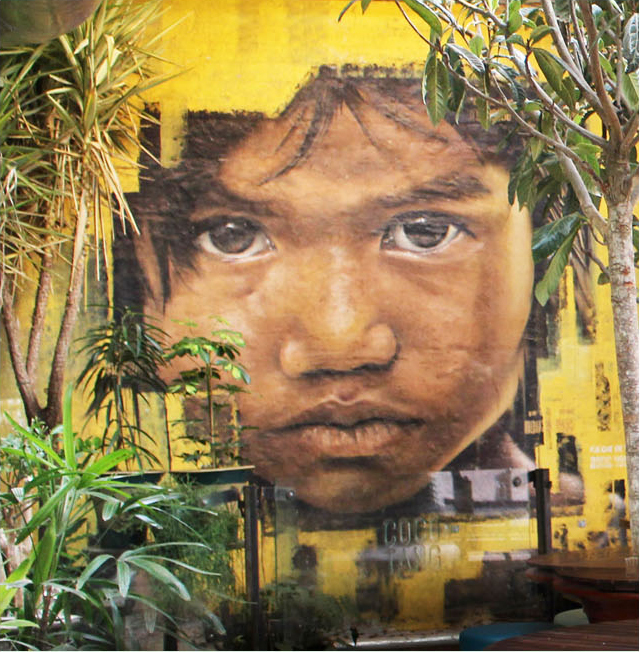 Graffiti art by the street artist Matetwo Commissioned to draw attention and encourage people to consider life for underprivileged children in Vietnam. We hope people might understand collectively, that their small gesture can make a big difference. 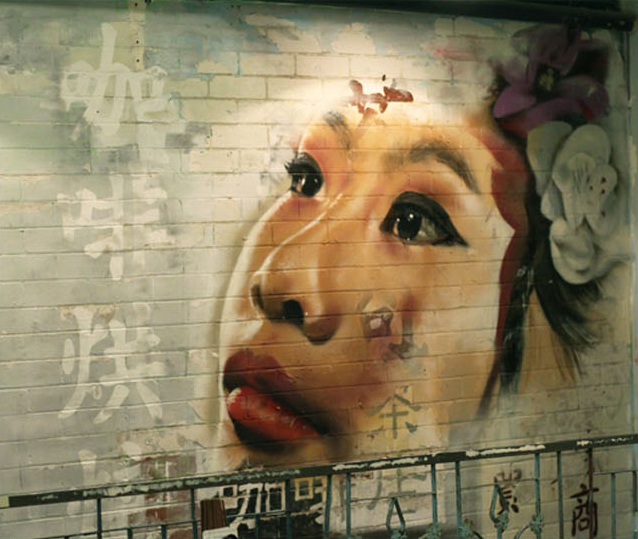 Graffiti art by the street artist Matetwo painted live in the cafe in February 2018. Coco Tang - water on tap, literally. Doing our bit to tackle waste - we have done away with packaging completely, local Severn Trent tap water is ranked number two in the UK for quality, easily comparable to bottled water - water quality report. We have 100Mb wifi throughout the premises. Very fast and guaranteed speeds for up+downloads Laptops can be used Mon-Fri 10am-6pm for up to 2 hours. Outside of these times, we are a lap top free zone.